← TEMA Deploys WC DART to Lafayette, TN. The Wilson Co. Disaster Animal Response Team will be meeting this Thursday, 8/6/15 in the Gentry Building at the James E Ward Ag Center at 6:30pm. 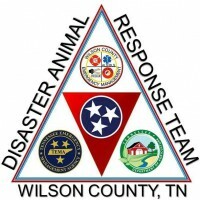 The Team will have a debriefing on the recent deployment to Macon Co. Tn to assist Animal Control manage an influx of animals after flash flooding hit Lafayette, Tn. on July 3, 2015. Fair planning is also on the agenda. Putting the finishing touches on the demonstration and booth design. Adrienne has some really great ideas for the Demo! C’mon out and see what’s happening, bring a friend!